One afternoon in early May I was browsing the plants at a local nursery. There was another woman shopping there, and we looked at each other. She was wearing a long down winter coat; I was wearing my fleece and winter hat. "Only New Englanders would be dressed like this while plant shopping," she commented dryly. Ah, spring in New England. It's been a rollercoaster of cold and rainy mixed with unexpectedly warm and sunny (that early thaw! that late freeze! 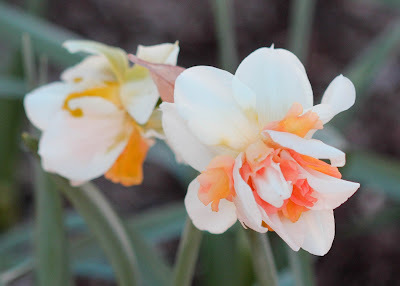 ), but it's made for a long season of spring blooms this year - especially for my favorites, the daffodils. It was hard to pick a favorite out of the show, but I think Narcissus 'Chipper' has stolen my heart. I just love this division of daffodils, called the Triandrus Daffodils, with their nodding heads and swept back petals. 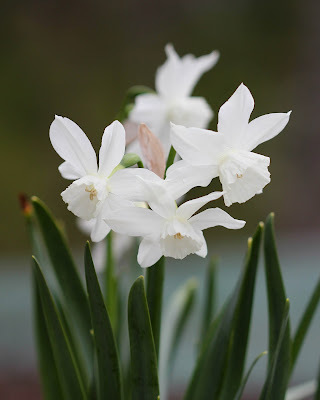 The last days of winter are usually spent in eager anticipation of the first daffodil to bloom, and Narcissus 'Rijnveld’s Early Sensation' is usually it. This year they started blooming on March 11 and kept on blooming despite late snow and freezing weather. Definitely an award winner in my book! The pictures I have (taken on my phone) of the miniature 'Mite' Daffodils sadly do not do them justice. 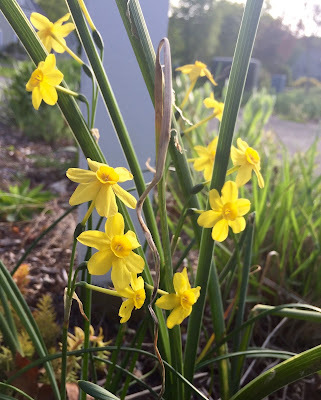 These are teeny tiny little daffodils, and oh so adorable! 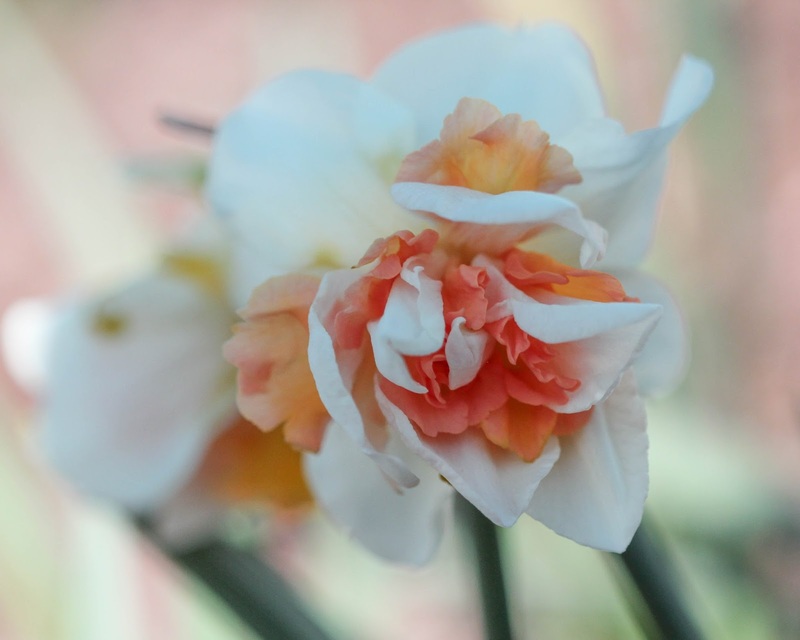 Narcissus 'Thalia', another one of those beautiful Triandrus daffodils, is lovely just on her own. However, I think when paired with some of the other spring blooming bulbs, 'Thalia' gets even prettier. 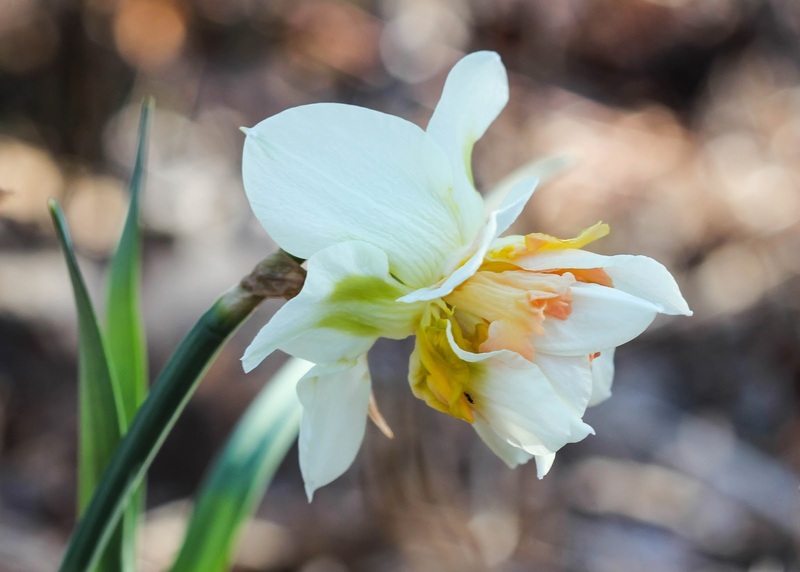 'Thalia' is especially nice for pastel-colored gardens, where yellow daffodils would be discordant. 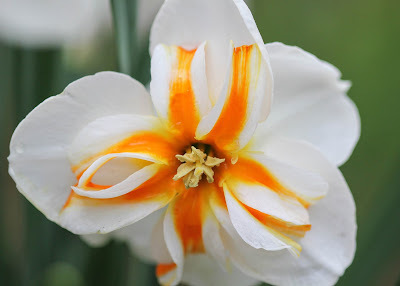 I could also see it being great for a patriotic-themed garden with its pure white petals. ...and then turn a fabulous coral color. Replete' is classified as a 'pink' daffodil; however, I would not call the color truly pink. The coral fades to what I would call a shade of apricot or peach. Either way, it is a very striking daffodil! 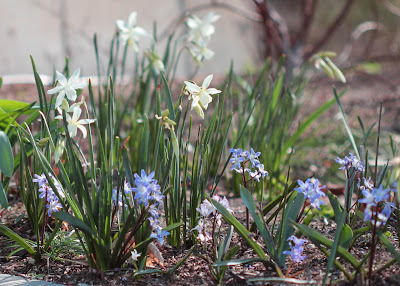 I was chatting with my mailman the other week, and he pointed to a patch of flowers and asked, "What are those flowers?" "Daffodils," I answered. "And what's that?" he pointed to some others. "Daffodils." "And that?" "Also Daffodils." 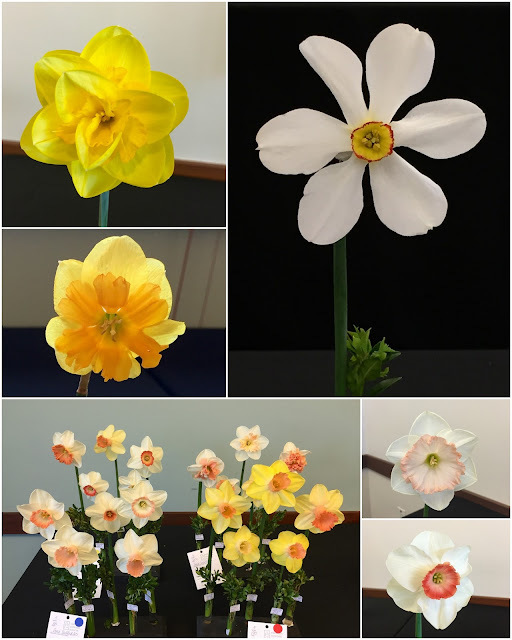 This went on for several more iterations, much to the amusement of my mailman, who probably now thinks all the flowers in my garden are really just strange looking daffodils. There are so many different types of daffodils now, and some are quite a far cry from the standard yellow trumpet variety. 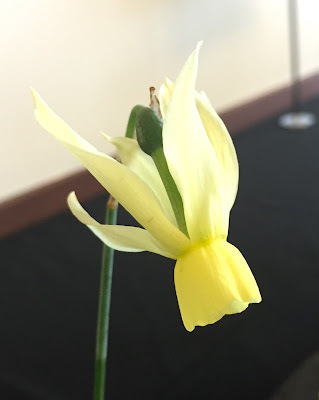 There are some very unusual looking doubles (like my showiest daffodil 'Replete'), but I think the most unconventional looking daffodils are the Split Corona Daffodils, where the cup is split. Unusual and unexpected-looking daffodils are so much fun to have in the garden. 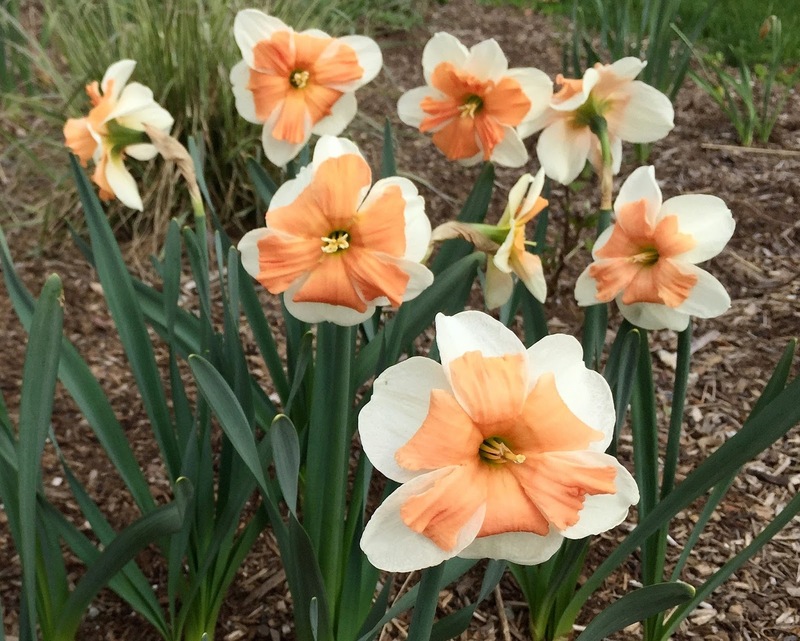 They add a different look, but are usually still as easy to grow and as critter-proof as the standard yellow trumpet varieties. 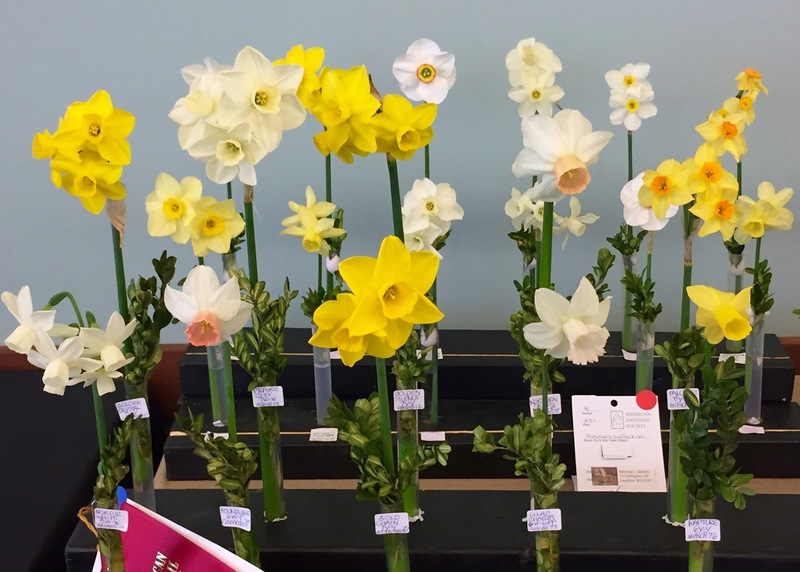 There are so many different and beautiful varieties of daffodils that it is easy to catch 'yellow fever', as it's called by daffodil lovers! 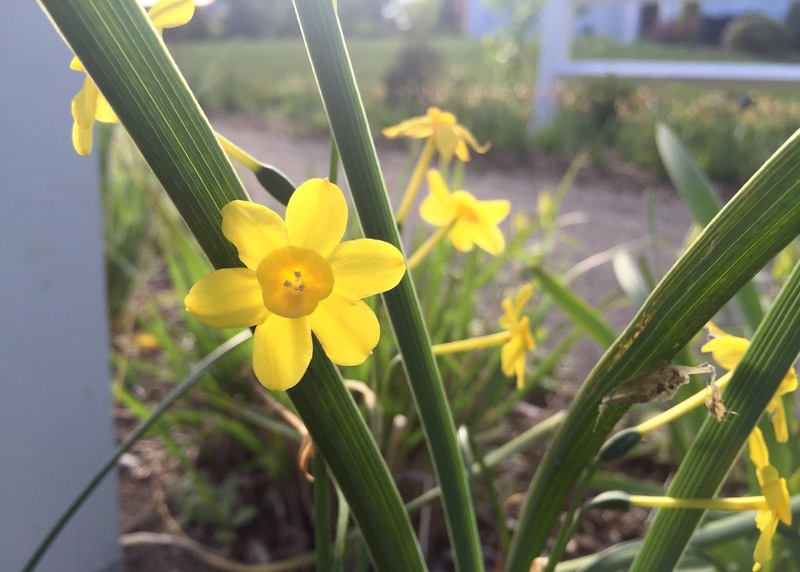 Daffodils are one of my favorite flowers, and I'm thankful that this year's season has lasted so long. The first daffodil bloomed on March 11, and different daffodils were in bloom from then until now near the end of May. My last to bloom, the miniature Narcissus 'Baby Moon', are finishing off the daffodil season with their diminutive, sweetly-scented flowers. 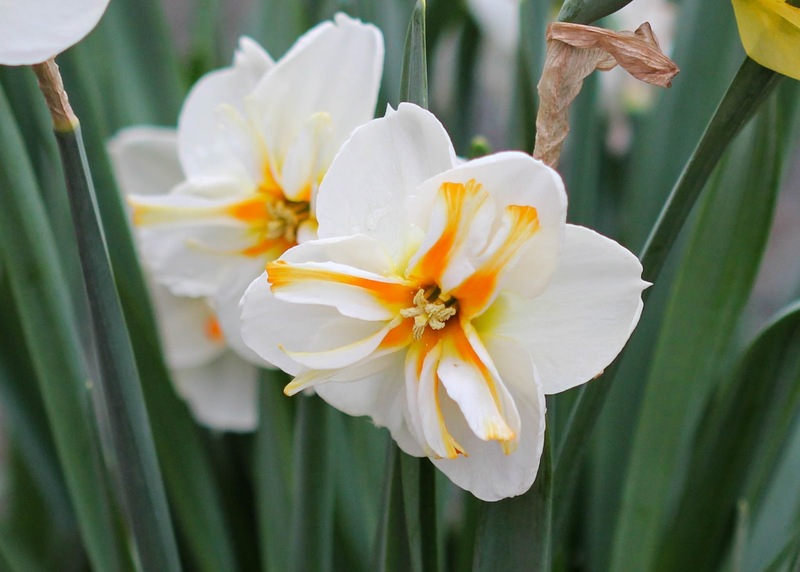 Do you have a favorite daffodil?